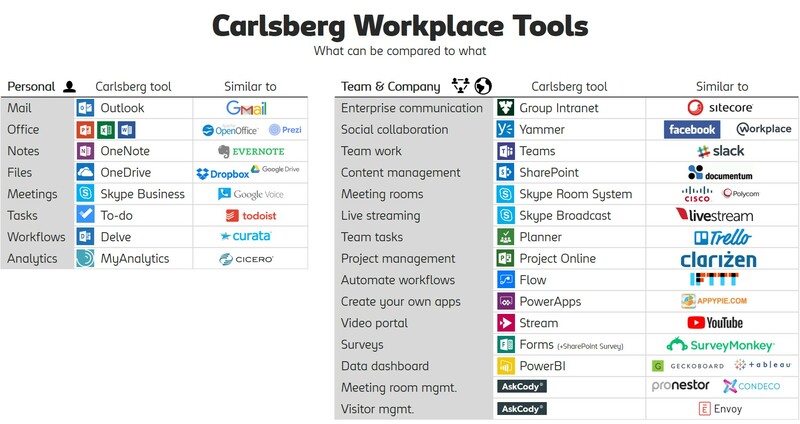 A lot of our non-tech colleagues have a hard time wrapping their heads around what Office 365 is, so we’ve tried distributing the Office 365 Periodic Table in Carlsberg, but it doesn’t seem to work as well as we’d hoped. I have therefore come up with the two drafts below. Goal is to make illustrations that are simple enough for anybody to grasp, and detailed enough for the rest of us to get some value of. Any input (or corrections, which I’m sure are needed) would be more than welcome.